Since the teens went missing from Gush Etzion, a Jewish-only colony in the West Bank, Israel has besieged the 4 million Palestinians who already live under its thumb, storming through towns, ransacking homes and civil institutions, conducting night raids on families, stealing property, kidnapping, injuring, and killing. Warplanes were dispatched to bomb Gaza, again and repeatedly, destroying more homes and institutions and carrying out extrajudicial executions. 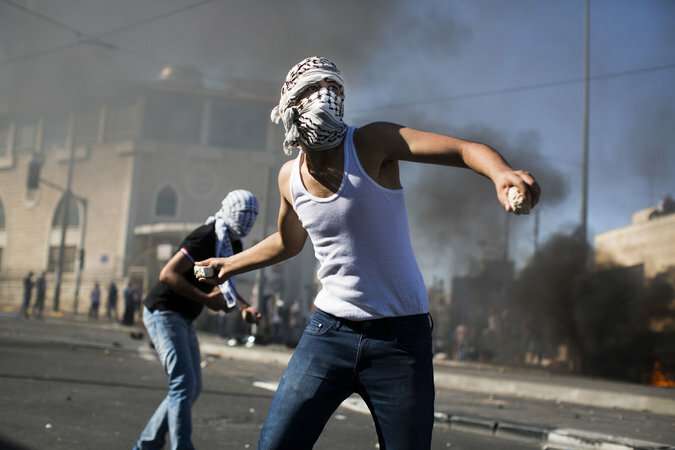 Thus far, over 570 Palestinians have been kidnapped and imprisoned…. At least 10 Palestinians have been killed, including at least three children, a pregnant woman, and a mentally ill man. Hundreds have been injured, thousands terrorized. Universities and social welfare organizations were ransacked, shut down, their computers and equipment destroyed or stolen, and both private and public documents confiscated from civil institutions. This wonton thuggery is official state policy conducted by its military and does not include the violence to persons and properties perpetuated by paramilitary Israeli settlers, whose persistent attacks against Palestinian civilians have also escalated in the past weeks. And now that the settlers are confirmed dead, Israel has vowed to exact revenge. Naftali Bennet, Economy Minister said, "There is no mercy for the murderers of children. This is the time for action, not words." And, did not, yesterday, the Prime Minister of Israel say, without a shred of evidence against anyone: “Hamas will pay”? Didn’t he say: “Our boys were kidnapped by a terrorist organization.”? Didn’t he say that Abbas’s claim that the PA was not responsible for the abduction—which took place in Area C, under complete Israeli control—was “baseless” because the responsible party is the one who controls the area from whence the terrorists came.”? Who controls Jerusalem, where the young Palestinian was abducted, and the areas from whence his abductors came? Did I mention bombing the crap out of Gaza—with their friggin’ air force!—far from any abduction? Eleven airstrikes. Exactly how many of the “many possibilities, criminal and nationalistic” did the Israel government examine in a responsible manner before going on a rampage against any Palestinian they felt like targeting? Has not the Israeli government, for the past two weeks, as I mentioned previously, been carrying out what its own minister described as a “wide-reaching operation against the civilian population” of Gaza and the West Bank? What government in the world has been more blatant in its use of collective punishment? Today, however, because it’s a Palestinian kid who’s dead, and there’s fear of Palestinian rage, the minister of internal security can, in his best parental tone, tell Palestinians to ”lower the volume,” and the mayor of Jerusalem calls “on everyone to exercise restraint.” Everyone? Except, Israeli Jews who don’t exercise restraint will be shooed away, while under-restrained Arab Palestinians will be shot. Encouraging responsibility, Israeli-style. In fact, as the Times reports today, haven’t there been, for years, hundreds—over 400 in 2013—of violent acts by “the so-called Price Tag movement in which right-wing Israeli extremists have for years carried out attacks against Palestinians and their property”? Hasn’t the Israeli government “long been lax on Jewish extremists for fear of alienating settlement leaders and rabbis or further dividing the nation.”? As I discussed in a previous post, “nationality” is a fundamental and peculiar concept for Israel. In Israel, it is your nationality, not your citizenship, that determines your rights and entitlements, and the Israeli state categorizes your nationality as either “Arab” or “Jewish.” When Benjamin Netanyahu insists that Israel is a/the “Jewish State,” it means, as Uri Avnery points out, that “Israel is a ‘Nation state’ of the Jews, and therefore it has the right to do anything that serves Jews and harms non-Jews, even when they are Israeli citizens.” Thus, when Kershner and Rudoren say that the Israeli government has been reluctant to pursue violent Jewish extremists because it fears “further dividing the nation,” it means the Jewish nation. That is the only “nation” the Israel government cares about. The “Arabs” are not part of it. Kershner and Rudoren are. Kershner and Rudoren, who understand this use of “national” and “nationality” very well, also know that the casual American reader may not, and may confuse it with what Americans think of as “citizenship.” They write in a way that in every sense assumes—presumes and wears—this peculiar Israeli nationality paradigm, and implies that their readers either also understand it, or do not need to have its peculiarity remarked to them. Else, they would have written that the Israeli government is lax about Jewish settler violence because it fears “further dividing the Jewish nation"—or, hey, if that’s too direct for them, “further dividing what it calls ‘the nation.’” But that might have evoked some dangerous questions. Colonialism is violence. As the Nuremberg Tribunal said of aggressive war: "to initiate a war of aggression...is the supreme international crime, …in that it contains within itself the accumulated evil of the whole," so colonialism, we well know, “contains within itself” the accumulated violences and injustices of the ethno-supremacist project as a whole. Why not? Because, from where he sits, Hussein Abu Khdeir goes on to say: “I don’t expect any results”; on the other hand, no matter what Yishai Fraenkel says, from where he sits in the “nationality” paradigm that grounds his discourse, he already has results. He has the immediate results of seeing his son’s suspected killers homes demolished, their families made homeless, their communities and their entire “nation” rampaged. He also has the lasting results of the ethnic cleansing of 1947-8, and of all the wars and occupations and torture and assassinations and home demolitions and killings of children since. He literally sits in the results, in a very different place than Hussein. He occupies the results, as his. And what results do you think Muhammed’s father can expect? Will his son’s killers, even if caught and convicted, be subject to the same “murder is murder” punishment? Will they have their homes demolished, as the suspected killers of Yishai’s son already have? Muhammed’s father knows the answer: Most certainly not, if they are of the Jewish nation. 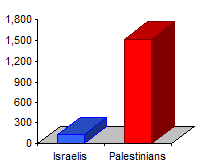 The price tag of Israeli “Jewish national” violence is discounted. The colonist cannot be subject to the same rules as the colonized. The colonists must consider themselves in a different ethico-political space.2 And they are. When the settlers put on their IDF uniforms, is murder not murder after all? Palestinian children are assaulted or murdered every day and barely do their lives register in western press. While Palestinian mothers are frequently blamed when Israel kills their children, accused of sending them to die or neglecting to keep them at home away from Israeli snipers, no one questions Rachel Frankel, the mother of one of the murdered settlers. She is not asked to comment on the fact that one of the missing settlers is a soldier who likely participated in the oppression of his Palestinian neighbors. No one asks why she would move her family from the United States to live in a segregated, supremacist colony established on land confiscated from the native non-Jewish owners. Certainly no one dares accuse her of therefore putting her children in harm’s way. And the American government and media, the “western press” that, as Abulhawa points out, has ignored the 1500+ Palestinian children killed, as well as their families, and has been so solicitous to Israeli Jewish parents? Will we have the detailed heart-wrenching address to the parents from Obama, Biden, Samantha Powers? Will they, did they, try to imagine the “indescribable pain” of all those Palestinian parents? Will they consider for a minute stopping their unconditional political, financial, and military support of Israeli colonization? Obama, who made a point of emphasizing that one of the killed Israeli teenagers was an American citizen, and, like all US politicians, has shrugged off the Israeli murder of young American citizens Rachel Corrie, Furkan Dogan (“summarily executed” on Obama’s watch, according to the United Nations Human Rights Council), and the 34 sailors killed on the USS Liberty? How many thousands of hours of coverage and reams of column-inches did the kidnapping of three Israeli Jewish youths get? How many times did we see their pictures, hear their names, hear from their grieving parents? How many times have you seen the picture of Rachel, or Furkan, or heard from their parents on ABC/CBS/Fox or MSNBC? 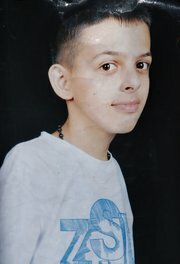 How much time will CNN give Muhammed’s parents, or the Palestinian families whose homes have been demolished? These are rhetorical questions. The narrative is fixed. 1The complicated rules and rationalizations that colonizers use to enforce these supremacist differences, while at the same time allowing themselves to feel fair and reasonable, can lead to some bizarre results. I have a close friend, born in a Jewish family in Morocco. Morocco had been a French colony, and the French colonial rules stipulated that the natives (Arabs, Jews, or whatever) had to be kept subordinate to the French colonists—relegated to inferior “native” schools, hospitals, social services. But citizens of third countries that were not colonies were eligible for French privileges. My friend’s grandfather had been an adventurous young man, and had set out to sail around the Mediterranean. One of his stops was in Palestine (before there was an Israel), where he decided, shrewdly, to acquire Palestinian identity documents. Thus, when he returned to Morocco, he was able to present himself as from a third country, a Palestinian Jew, not a Moroccan colonial subject, and he and his children and grandchildren were able to enjoy the rights and privileges that would not have been available to them as Moroccans. My head spins a little, thinking about the ways in which this story subverts not only the old French colonial, but also the new Israeli “Jewish nationality,” paradigm. The echoes of this obsolete nonsense that ridiculizes itself trying to protect essentialist, colonialist, ethno-religious distinctions can be seen today in the proposals in the Israeli Knesset to re-classify Palestinian Christians as “non-Arab”! As noted, this is barely being reported anywhere. Al Jazeera is reporting some news on the subject, but the Israelis fire on the press to keep them away from their atrocities. Sad, that online magazines like Salon also won't touch it. I had to place an off topic post in one of their threads to tweak them about no story. I will now place this link around the net. The story must get out. Thanks. Glad you found this cogent. I appreciate your spreading the link. I was not planning to write about this. Then I read that Times article, and... grrr.